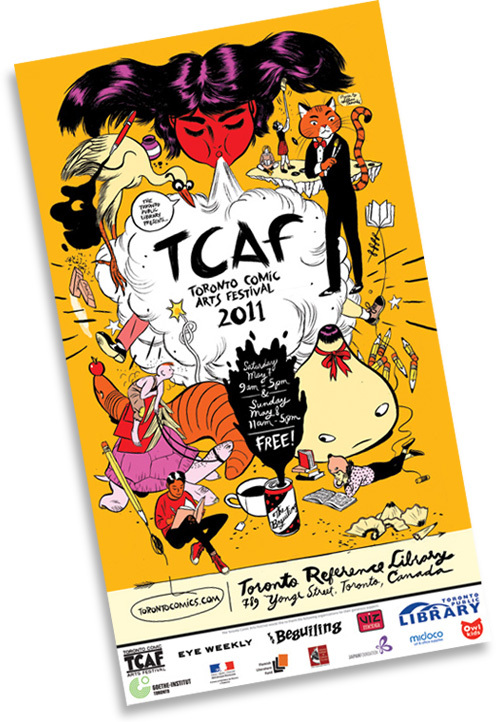 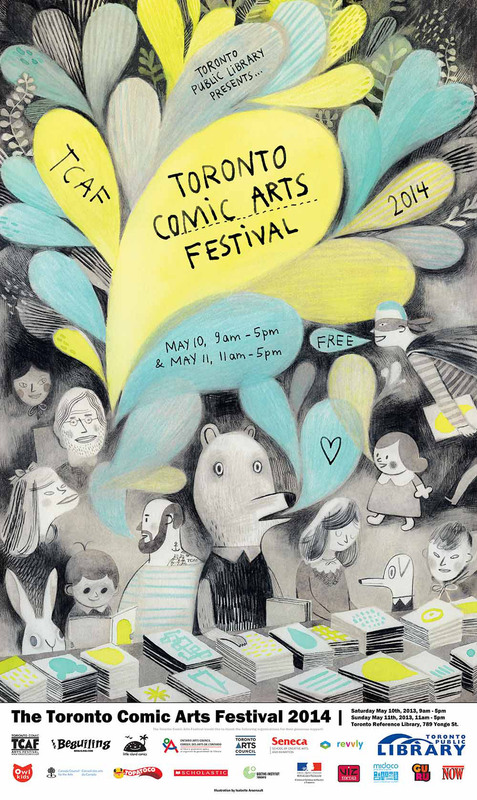 It's the poster for the 2011 Toronto Comic Arts Festival, featuring an original illustration by Jillian Tamaki! 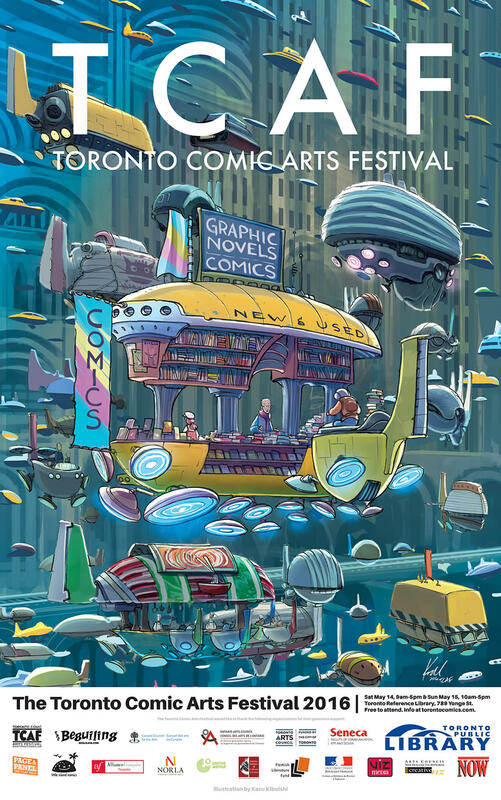 This large poster measures 18 inches by 31 inches, and is printed on a heavy stock with a semi-gloss finish. 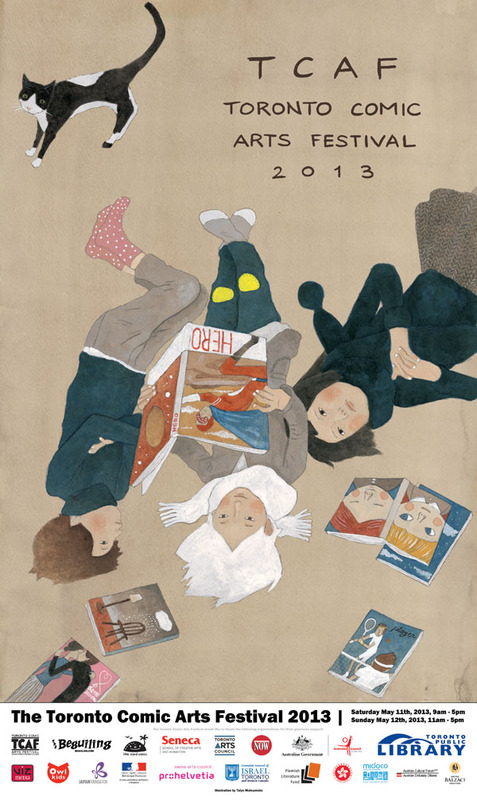 It's a gorgeous poster, suitable for framing.